Obscura Gallery and Brant Mackley Gallery are proud to invite you to our joint Grand Opening Reception and Celebration of our newly renovated shared gallery space at 1405 Paseo de Peralta in Santa Fe, New Mexico on June 22, 2018 from 4-7pm. 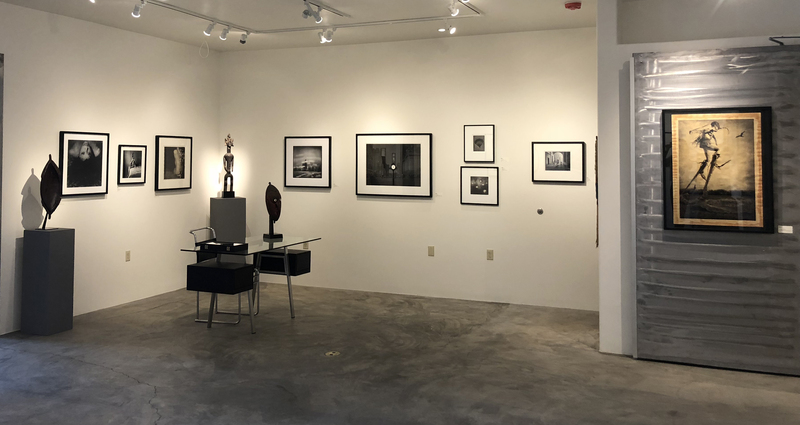 Obscura Gallery represents fine art photography with a special interest in the finest contributions to the history of photography both through contemporary and vintage works. Brant Mackley Gallery specializes in exceptional antique North America Indian, Oceanic, Asian, and African art. Located in the Santa Fe downtown historic district two blocks east of the revitalized Railyard district in a renovated historic building, the two business entities co-occupy the 3,000 square-foot location. The Grand Opening Exhibition includes a specially curated selection of each Gallery’s inventory including works by Obscura’s represented artists and other select inventory.